A Kenya/Tanzania combo of great game viewing, popular lodging and fantastic food! 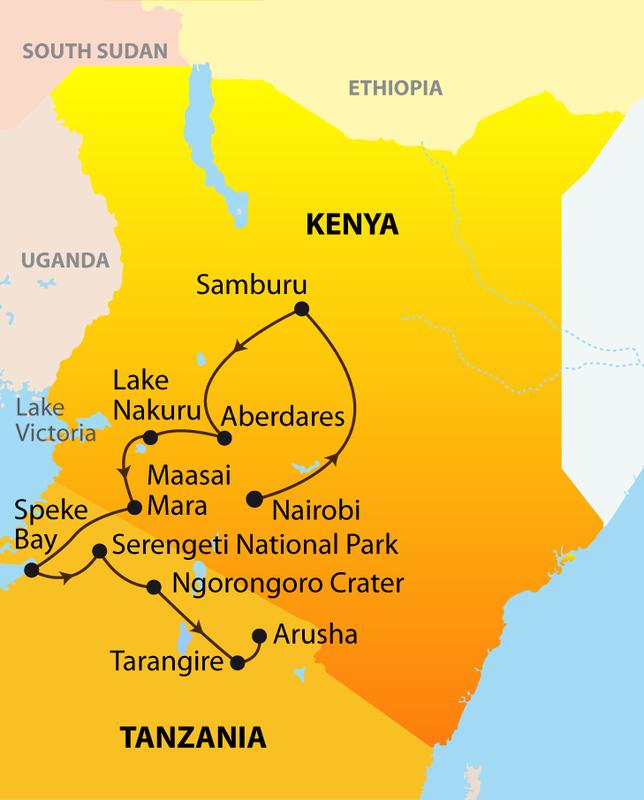 Travel through Kenya’ famous parks; Samburu, Nakuru and Maasai Mara before crossing into Tanzania’s vast Serengeti Reserve. Next marvel at game-rich Ngorongoro Crater and lovely Lake Manyara. Staying at the famous Serena Lodges, you will enjoy the company of professional driver/guides and travel in specially fitted safari minivans. Enjoy a full day of game viewing in this harshly beautiful terrain where wildlife abounds along the Uaso Nyiro River, the park’s only source of drinking water. Also visit Shaba National Reserve, where renowned conservationist George Adamson did his lion research. NOTE: Today’s drive is very long and can take upward of 8+ hours depending on road conditions, game sightings en-route as well as the border crossing time from Kenya into Tanzania. Spend the morning visiting the crater floor. Our 4x4 vehicle takes us down the steep walls of the Caldera into the primeval paradise of woodland, lake, river, swamp and plain that shelter approximately 20,000 animals. Spend the rest of the day at leisure with optional excursions available. After breakfast we drive to Arusha arriving in time for lunch. A day room is available at an additional cost (please contact us for rates). 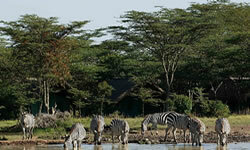 Upgrade to the Serena Lodges on a request basis at an additional cost (Sunday Departures). Please contact us for details. Easter & Christmas Supplements are additional.